Valentine’s Day is usually a day of planning and anticipation in hopes of being able to show those you care about how much they mean to you. In Fresno and in many other counties around the US, the week of the 14th offers a different opportunity. Incorporating the spirit of both Valentine’s Day and President’s Day, National Salute Week, February 10-16, offers citizens another chance to reach out to veterans, thanking them for their past service and continued sacrifice in the name of our great nation. This year, while making Valentine’s Day plans with your special someone, take some time to either make a Valentine for a veteran in your community or call and stop by the Fresno VA Medical Center to give a personal salute to one of these brave men or women. Cards can be mailed to the address below or dropped off at the front desk, room E107. Find out more and keep up with the center by liking the VA Healthcare Systems page on Facebook! So who are some special Veterans in your life? The love is in the air! Yes, ladies and gentlemen, it’s that time of year again; the time when a heart-shaped box of chocolates and a dozen roses will guarantee a smile from that pretty girl you like. It’s a fact that Cupid’s arrows have been longed for by people all across the globe, and for thousands of years, but is this the only way to find or express love? Share the love by donating blood! Fresno State blood drive February 14 - 16, 2012. Nope! That’s where your community involvement comes in! There’s no bigger sign of love than helping others around you and making them feel special, too. Plenty of organizations across the United States, and even in the Fresno area, are planning some fun Valentine’s Day-themed service projects. This month, a group of Fresno State students made Valentine’s Day packages that they delivered to children in the Valley. Or, you can donate a pint of blood to save up to three lives! 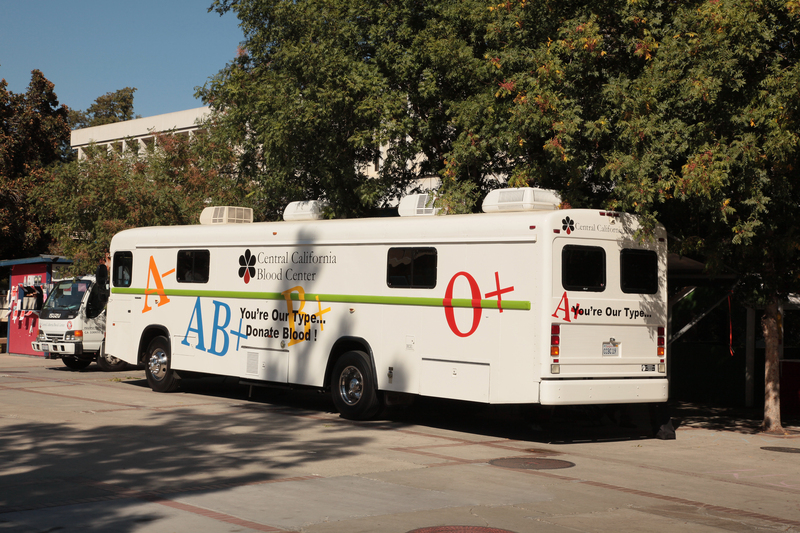 This week, the Central California Blood Center will be on campus with blood mobiles at 4 different locations. It only takes a small amount of initiative, but the appreciation and love felt by those being helped will last for a long time. Take some time with your valentine to help others in a way that really makes you proud. And for all the single guys out there: chicks dig service-learners!